A new Dublin Bus route, stretching from Ballymun to Bray, will link Dublin’s three universities. Dublin Bus has already started operating the new 155 route, which will travel along the N11 from Bray until Dublin city centre, through Phibsboro and along Ballymun Rd as far as IKEA. This will create links between University College Dublin (UCD), Trinity, and Dublin City University (DCU). The service will also stop near some of the Technological University of Dublin (TUD) city campuses, as well as serving those commuting from suburbs such as Bray, Stillorgan, Donnybrook, and Ballymun. Starting at 6am, the service will run every 20 minutes, seven days a week. The creation of a new route comes after complaints from UCD students that Dublin Bus drivers were routinely refusing to pick them up at bus stops near the campus in the late evenings. 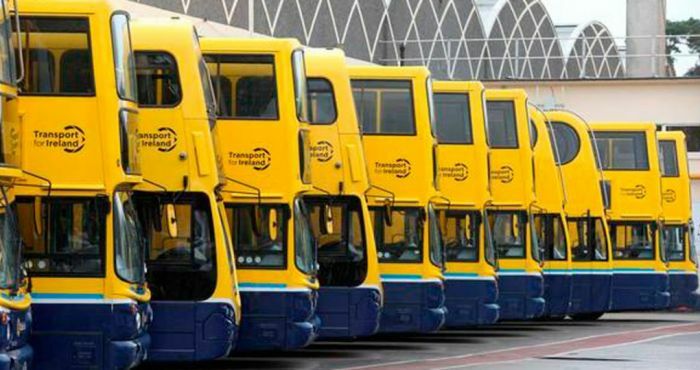 University College Dublin Students’ Union (UCDSU) President Barry Murphy condemned the buses for not stopping, saying students are being forced to spend significant amounts on taxis due to the failure of Dublin Bus drivers to collect those waiting at bus stops. “We currently have a situation in UCD where the bus is not stopping at the main bus stop”, Murphy said on RTÉ Radio One’s Morning Ireland. “We have students in wheelchairs who have been left waiting for up to an hour, it may not be possible for them to get to the next bus stop. We also have some students who feel vulnerable at that time of night”, he said. Murphy said that it is “unfair to tar all 28,500 students with the one brush. Anti-social behaviour can happen anywhere in the city”. He said UCDSU is encouraging students to “be mindful of their behaviour on Dublin Bus”. Dublin Bus has come under scrutiny in recent months for its decision to allow Go-Ahead, a private company, to operate some of its bus routes. Over 300 complaints were lodged about the British company last October. Passengers criticised the service for delays, a lack of driver knowledge, and buses that didn’t show up.